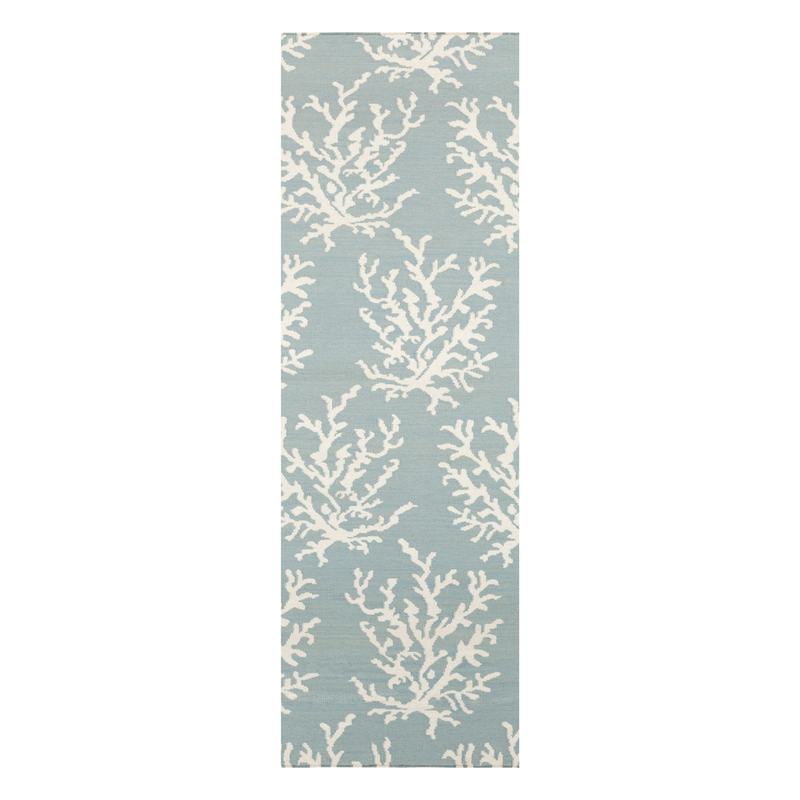 Showcase your coastal style with the Boardwalk Small Coral Sky Blue 3 x 8 Rug. This nautical area rug is designed with delicate coral branches. Spot clean stains. Regular professional cleaning recommended. For additional options, we invite you to take the occasion to view our thorough collection of coastal area rugs at Bella Coastal Decor now.